Winnipeg house veteran Joe Silva has been a sure bet at past Manitoba Electronic Music Exhibitions (MEME) and this year was no different. 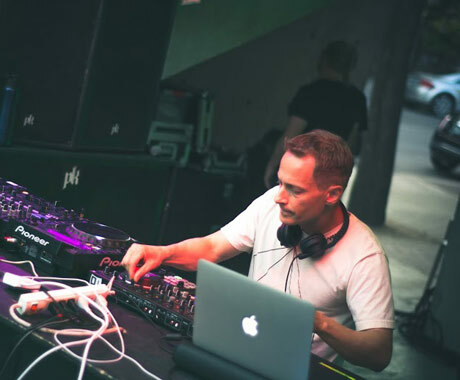 While it took him a few tracks to find his groove, once he did, Silva was in the zone, moving between vocal heavy tech-house, swinging house rhythms and even some garage influenced cuts. The real highlights came in the second half of the set as another track from OFF Recordings (a label which seemed to be a favourite of some DJs over the weekend) by Purple Disco Machine called "My House," The RC Groove Project's "The Sermon (Ghetto House Mix)" and a reworking of Armand van Helden's "Funk Phenomena" turned the crowd's energy up at the Cube a couple of notches. With families and their kids dancing, the beer garden swaying to Silva's beats and everyone focused on the DJ's carefully curated soundtrack, the organizers of the festival likely couldn't have been happier with the way that the home-grown talent was taking control of the night.